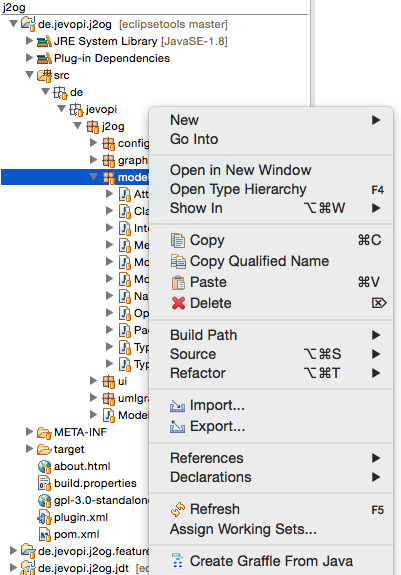 j2og (formerly known as JavaToOmniGrafle) adds a new menu entry to the Eclipse package explorer, so that you can automatically create class diagrams from your existing Java sources or from EMF ecore and Xcore models. 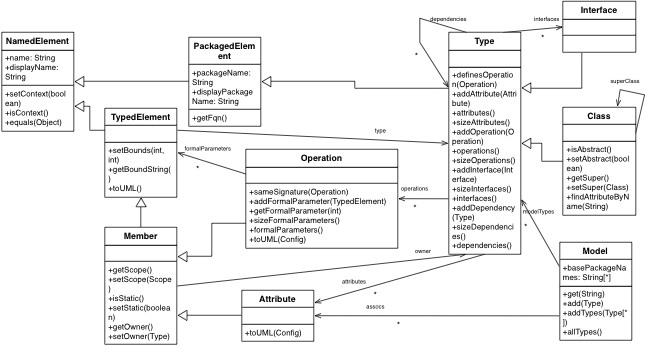 The plugin can create class diagrams for selected types, packages, and sub packages. Besides, the context of selected classes, that is types on which the selected types depend on, can be visualized as well. 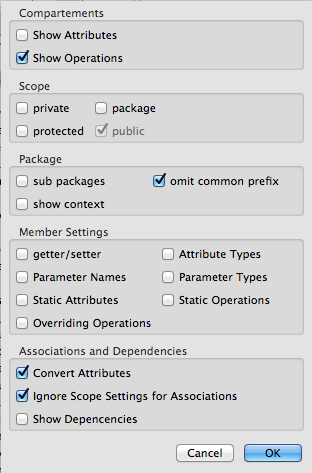 Attributes are drawn as associations if possible, e.g., parameterized collection types are recognized and replaced by 0..* associations. You can configure the output with some switches. By adding the following code below to your website you will be able to add an install button for j2og.